Following the lifestyle recommendations of Dr. Hulda Clark included setting up a metal-free kitchen. 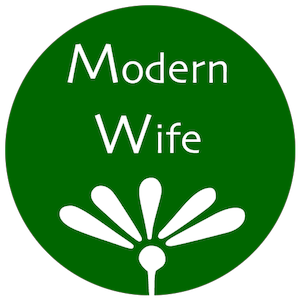 (Dr. Clark would later revise her findings to allow stainless steel cookware.) We bought a few plastic knives but none could take the place of a real sharpened metal knife. That is, until we found the Kyocera Ceramic Knife. The Kyocera Ceramic Knife is so sharp, I regarded it with fear when we first got it in the mail. It chops and slices millimeter-fine, and there is no need for re-sharpening. It is, without a doubt, the sharpest knife in the house. The blade bites right into food, and this prevents any slipping that can happen with a dull knife. Because it’s ceramic, I definitely have to be more careful of breaking or chipping it. Unlike metal it does not bend. The blade is made of zirconium oxide, which is second in hardness only to diamonds. 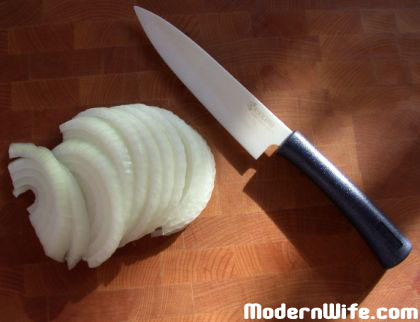 It is especially excellent for cutting fruit and vegetables that would otherwise brown if sliced with a metal knife. 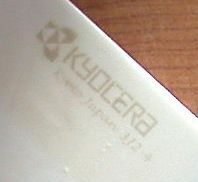 Cleaning the Kyocera Ceramic Knife is easy. I just wash it quickly under the faucet, wipe it in a towel and put it away in a drawer out of reach of my child. I never put my it in the dishwasher. My husband has gone the extra mile and created a thick cardboard holder for our Kyocera Ceramic Knife as an added layer of protection from accidental cutting.